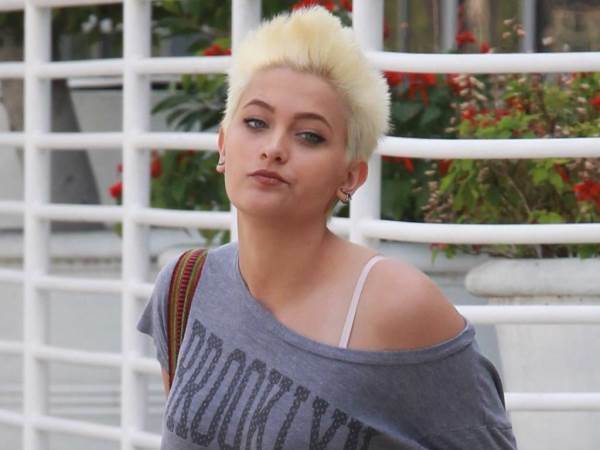 Michael Jackson's daughter Paris returned to her father's famous Neverland Ranch on Wednesday and declared it "felt so good to be home". The 18-year-old grew up on the California estate with the King of Pop and her two brothers, Prince Jackson and Blanket, but they abandoned the home in 2003, after police officials executed a search warrant on the property while investigating child molestation allegations made against the singer. He was subsequently acquitted in a 2005 trial. Following the superstar's death in 2009, estate executors placed Neverland on the market for a whopping $100 million (about R14 million), but the property remains unsold. Paris toured the family hideaway on Wednesday with her boyfriend, Michael Snoddy, by her side. She shared a series of photos documenting her trip down memory lane with fans on Instagram, including one of the lavish pad, which she captioned, "Felt so good to be home even for a little bit." The teen also spent some time with the animals at Neverland's petting zoo, and posted one snap with an alpaca, joking, "He was posing so hard". Paris' visit took place weeks after she and Snoddy reportedly moved in together, setting up home in her dad's old house in Encino, California - the same property where the music legend once recorded tracks such as Beat It and Billie Jean. He vacated the pad in 1988 after purchasing Neverland, but never offloaded the Encino property. Paris began dating Snoddy earlier this year and they have also allegedly adopted a dog called Koa together.